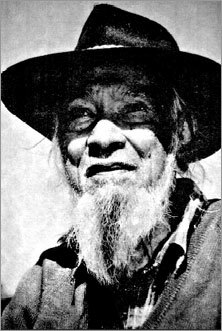 In 1986, I interviewed Guboo Ted Thomas as an assigment a now defunct newspaper in Boulder CO. In his youth, GUBOO was selected from 3,500 Aboriginal tribal members to inherit the position of chief elder of the Yuin tribe. In 1984, after outliving five young brides (he mentioned this), the 78-year old Guboo began travelling the world teaching the Dreamtime, the heart of Aboriginal spirituality. In the first moments of meeting Guboo he asked me, "Do you know what trees are"? My mind froze. "No, I don't know what trees are. What are trees?" He said, "They are like your telephones. We talk with our people through the trees." This was not going to be just another interview. Before the interview Guboo played his dijeridoo, a traditional Aborigine instrument he made from a small tree previously hollowed out by termites and then, stuffed with beeswax.- A.A.
ANTERO ALLI: Tell me about yourself. GUBOO TED THOMAS: My name is Guboo Ted Thomas. Guboo is my tribal name and Guboo means "good friend." So, today, I am your good friend. As I look back in Dreamtime and see Australia, it is a land of dreaming where the law comes from the mountain. Here, the Aboriginal people have roamed around the bush for 50,000 years...listening to the birds, animals, Mother Earth... and She teaches us to send messages by our minds... hundreds of miles to our people. Up in the mountain is the place to talk to the Great Spirit, who we call Darama. 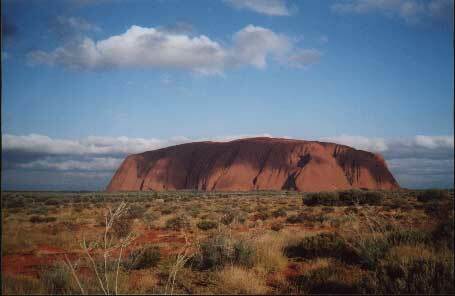 And Darama saw that the Aboriginal people were in tune with the Mother Earth and blessed them. There has been no war on Australian soil. This is why the Dreamtime is so important to us...it is always bringing us together. AA: Is there a way to speak about the Dreamtime, Guboo ? GTT: Yes...there is a way...and then, maybe not. Dreamtime is a very important tool for our people. Dreaming is the main way we use the mind, you see. It starts outdoors in a very quiet place where there is no noise and where the wind is blowing. Here, all around are Nature Spirits. You have them around here, too. Not where you have cleared the land...the spirits go back to the trees then, to the woods and wait there. In Australia, we take you to the outback and sit you down where I put red ochre on your forehead. This means respect, like the red band I wear on my head when I travel here in America. Then, I would talk to you and be in the spirit of the land and bring that spirit here (gestures to Antero's heart). After walking in the woods for some time, you would dream and spirits would visit your vision. Yes, you would see these spirits and they talk with you. People today know that something's going to happen, that the world is going to change but we've never changed with it, we're still back where we first started. The dreaming is a way to be in the change of this world...and Australia is the last land on Earth that has the dreaming. AA: Are there ways you help others enter the Dreaming ? 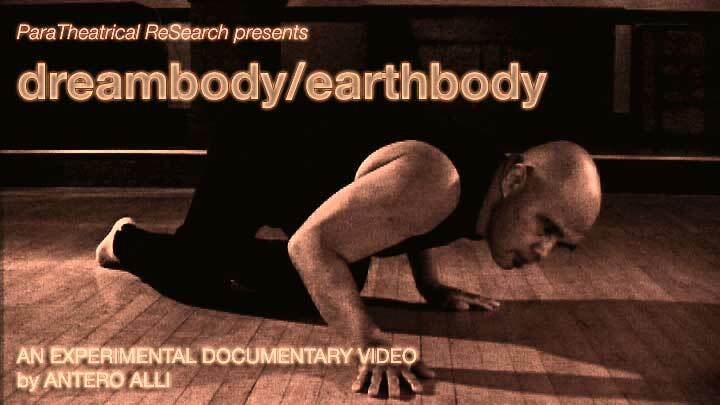 How do you teach the dreamtime techniques ? GTT: (laughing) I do not teach the dreaming. The mountain teaches the dreaming. Uluru. We need a spiritual cleanout first. Fasting on grapes for two days will bring you more power, so will praying and meditating. We have Dreaming Camps where we take people to the mountain, sometimes small groups, other times a few hundred. One thing you must know. You come as a child and learn how to crawl before you walk. I know today you have your education but I don't want you like that. I want you to come the way I want you to come. As a little child. So, if you've got an education, you've missed two or three steps. Listen what I say. How do you touch a tree and feel the love of that tree ? Sometimes, you have to blindfold people and let them find their way around the rocks to learn. The rocks there are like natural churches, altars, so we don't need no artificial churches, you see. Just stand by the rock circles on the mountain and speak to the Great Spirit. You will feel a vibration; you will hear Darama, the Creator. Your words must come from the heart or it's just blah blah blah. This you must learn before Dreaming. AA: What kind of tools do you use in your work ? GTT: We have stone implements. We make our own knives, tomahawks, and that. The Aboriginal people were stone masons long, long ago -- 50,000 years -- tempering the stone so they could hit the hard wood without breaking their tools. We know how much power is needed and where to hit the tree to chop it down. Anytime we take something from the Mother Earth, we pray to her first. We make killer boomerangs from wood and hunt kangaroo. Before we hunt the kangaroo, we pray to its spirit and to the Mother Earth. You know...the Aboriginal people were once very tall, seven foot tall; big, powerful men. Look at us today. I'm only five foot six. Since we've been eating white man's food, I'm getting smaller. So, you see the difference ? The Aboriginal food was blessed and had vitamins. It was good for you. I think the Aboriginal people were better off then, than we are today. AA: What do you mean, Guboo ? GTT: There are not as many trees today. The trees are always two together, a male and female; that's creation, you see. You separate them and what happens ? We've lost love for the trees. "Wapoo" means beautiful bush, or tree. I have these clapping sticks which I've made from a prayer to wapoo and I sing to wapoo when I play the sticks. I sing now. I know if you or the people don't listen to me sing, the birds and animals and the trees will hear. (Pausing first...Guboo sings, while playing his clapping sticks). Wapoo. The Aboriginal Sunrise Ceremonies are very special to our people. It starts when the sky is black, beautiful black. When the sun's yellow circle arrives, it turns the sky red. This is why the Aboriginal flag is half red, half black with a yellow circle in the middle. At the Sunrise Ceremony, I meditate and ask the Great Spirit for direction. My hands fill with electricity. I touch you and you feel it, too. I heal people this way. My Grandmother did that, too. I learned all about that when I was a young fellow. Umbarra, the Black Duck, is the special totem of our tribe, the Yuin. We learn to respect the elders who hand on the Law. The elders guard the Law and the Law guards the people. This is the Law that comes from the mountain. The mountain teaches the dreaming. A Paratheatrical Workbook by Antero Alli (Vertical Pool, 2003).